New Day Treatment Center is here for you. 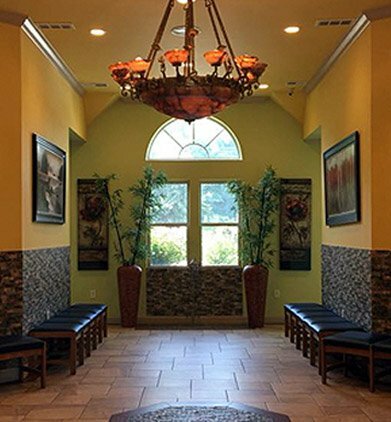 We provide high-quality and compassionate opiate addiction treatment services in a safe and therapeutic environment. At New Day Treatment Center, we respect and support the privacy of our patients and go to great lengths to protect your anonymity. Led by our experienced medical staff and team of licensed counselors, we offer one of the most affordable and effective Methadone Treatment and Suboxone Treatment programs in the Greater Atlanta area. Both substance abuse treatment programs offered at New Day are unique in their own right, yet they both share a common goal: to help our patients who are struggling with opiate addiction reach their sobriety goals. Once we have a deep level understanding of your history with addiction and your medical and lifestyle needs, we can help you choose which of our programs will work best to ensure you have a successful recovery. At New Day Treatment Center, beginning each day as a new day and a new start is at the core of our belief system. We know that your experience with addiction can be debilitating both mentally and physically. Our recovery model is designed to bring about a life change for the better. From the medical side with Methadone or Suboxone Treatment to the psychological side with credentialed counselors and group therapy sessions, our addiction treatment programs give you the tools you need for a recovery that lasts. New Day Treatment Center ensures you have the support and the information you need for your addiction recovery journey. It all starts with one simple step, a free, no obligation consultation with one of our compassionate counselors. We look forward to learning more about how we can support you, so that we can customize your guidance and addiction treatment to meet your lifestyle needs and recovery goals.